William Liu is a native of New York City. He obtained undergraduate degrees in Aerospace Engineering and Mechanical Engineering from Rensselaer Polytechnic Institute in 2011, during which he commissioned through NROTC as a Second Lieutenant in the United States Marine Corps. He reported to The Basic School in Quantico in 2011 and was assigned a primary military occupational specialty of Aviation Maintenance Officer. William’s first duty station was with Marine Light Attack Helicopter Squadron 367 in Marine Corps Base Hawaii, where he served as the Maintenance Material Control Officer for the squadron. In 2015, William was transferred to Wounded Warrior Battalion-East in Camp Lejeune, NC, where he served as a Company Commander until his honorable discharge in 2017. 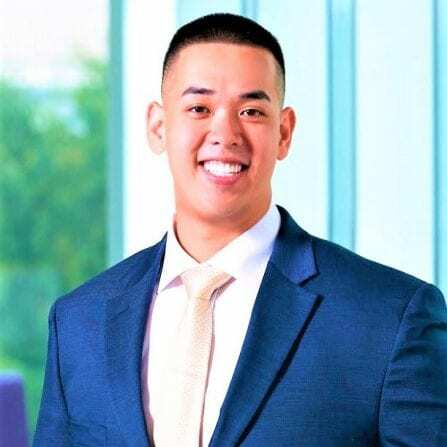 William is currently a full-time MBA student at the Tepper School of Business at Carnegie Mellon, where he intends to pursue a career in consulting. He resides with his spouse and enjoys lifting weights, drinking beer, and cooking delicious meals!